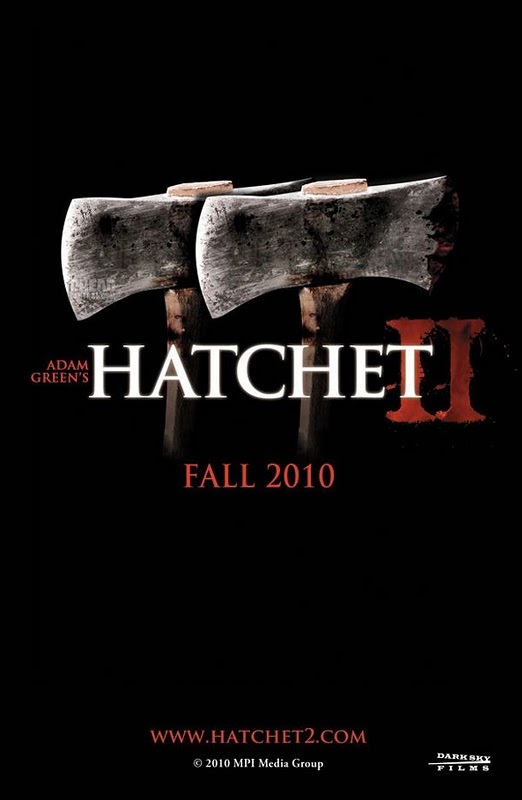 Just got word that Adam Green's Hatchet II has been pulled from U.S. theaters. This comes in the wake of Canada's decision over the weekend to similarly block the film from the theatrical circuit. I'm being told a "full press release" is coming tomorrow and I'm curious to see how they're going to spin this. The film opened in 68 theaters taking in an estimated $900 per screen grossing - around $60 thousand at the box office. It was playing without a rating at AMC theaters. The original The Last House on the Left and I Spit on Your Grave and Henry: Portrait of a Serial killer: All films that faced an uphill battle getting seen on the big screen. 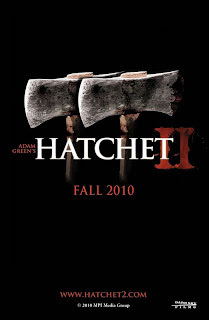 But I think some of you who have seen Hatchet II can agree that the film is drastically different in tone, so it's interesting to see an unrated film such as this creating such drama. Well, I'm glad I made the right decision last week and caught it on the big screen before the pull. Much too bad. Good slashers are nearly non-existent in the mainstream nowadays. Anyhow, you can see the original article (here) with comments from fans. Later geeks!